It’s now mandatory for every vehicle owner to have a driving license before driving his favorite vehicle on road. It’s in accordance with the Motor Vehicle Act of 1988. So, any driver who does not have a driving license and is driving his or her vehicle on road is committing a crime. 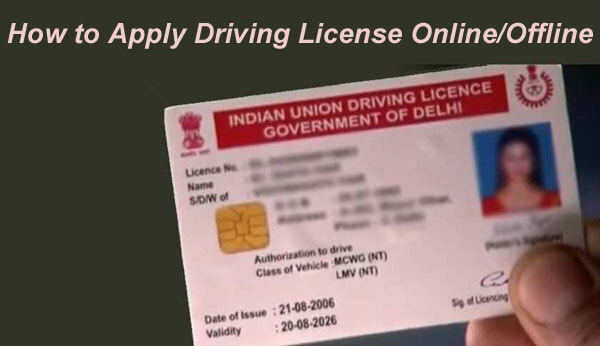 Other than the freedom to drive the vehicle, the driving license is also known as a valid identity proof and is accepted in most of the government authorized organizations. The process to apply for it in Raipur, Ambikapur, Bhilai-Durg & Bilaspur Chhattisgarh is pretty simple. There are two ways, online and offline. You can choose any of them. The processes are given below. For the application of a commercial vehicle, the age of the applicant must be above 20 years. If the engine of the vehicle is not more than 50cc, the age of the applicant must be above 16 years. For a normal license, the age of the applicant must be above 18 years. You have to click on the Online Services and choose License related services over there. Enter Chattisgarh as the name of the state. Now apply for a new driving license. Fill the application form and upload all required documents with it. Double check the details and submit to book the DL test for you. Visit at the time of the appointment to the RTO. Pass the test and the driving license will be issued. You can get the application form from the RTO or you can download it from http://cgtransport.org/CGTS/Default.html. Fill it up and attach all required documents before the submission of the form. Submit the form to your nearest RTO office and book the DL test appointment. Visit the venue at the time of appointment and pass the DL test. After passing, your driving license will be sent to you via post. Age Proof: Birth Certificate, Passport, Certificate from Local Authority, etc. Address Proof: Voter ID card, LIC Policy Bond, Ration Card, Passport, etc. Some Other Documents: Application form 4, 3 passport sized photographs, Learner’s license.